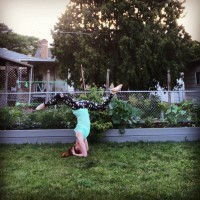 Sarah is loving the journey of learning to incorporate the principles of Strala to life -both on and off of the mat. Sarah is a former dancer enjoying moving her body in safe and easy ways that feel good. Mom, wife, friend and avid urban gardener.